19th century green morocco binding by Trautz-Bauzonnet stamped "Les Douze Mois" in gold on the spine. Purchased as the gift of Virginia M. Schirrmeister Charitable Lead Trust, Mrs. Alexandre P. Rosenberg, Gifford Combs, James H. Marrow, Melvin R. Seiden, Salle Vaughn, and Sotheby's, and by the Acquisitions Fund and the E. Clark Stillman Fund, in memory of Charles Ryskamp, 2010. Raoul Léonor L'Homme Dieu du Tranchant, Comte de Lignerolles (1817-1893); his sale, Paris, Charles Porquet, Catalogue des livres rares et précieux manuscripts et imprimés, 29 January 1894-4 March 1895, lot 11; Paris, Christie's, 25 June 2009, lot 122; purchased by the Morgan Library from Les Enluminures, Ltd. of Paris and Chicago. Decoration: 11 16th-century miniatures excised from a calendar and inserted into sheets of vellum, each miniature illustrating a labor of the month surmounted by a lunette containing the corresponding zodiac scene and having a gold frame. 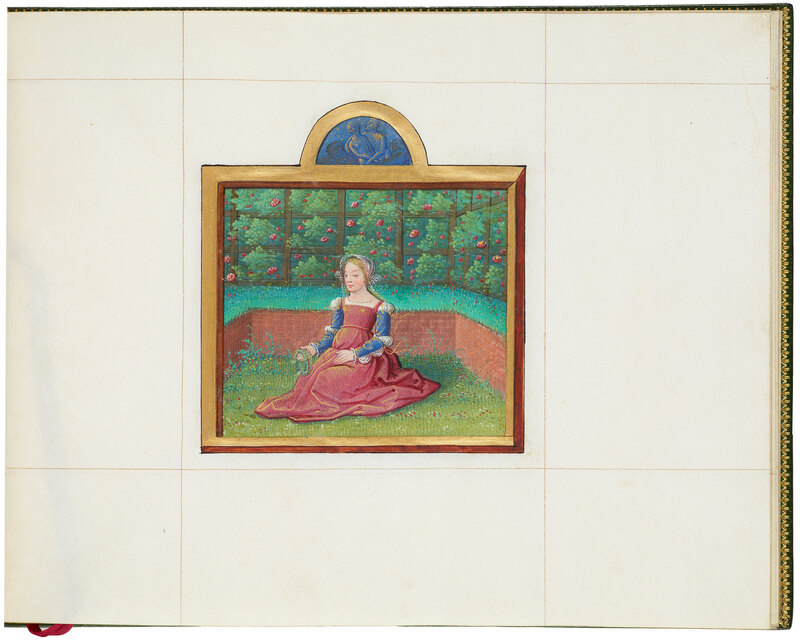 A 12th miniature for December was executed in the 19th century. The versos of the miniatures contain the feast days from the 10th to the 19th day of the month, including those of two bishops of Tours -- Saint Lidorius (Sept. 13th) and Saint Martin (Nov. 11th).